A whipping, BALLSIER alternate take of "7 a.m." from LES LULLIES debut LP, this time on a 7" with max crunch, b/w a swinging glam-punk dancer flip side called "Dog Food." 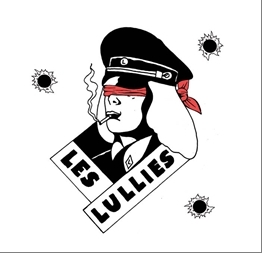 Montpellier, France punk-beat-freaks LES LULLIES are back with The Slovenly Sound, swingin hard with the follow up to their impressive "Dont Look Twice" EP, this time with their first full length LP: self-titled and hittin in all the right spots! 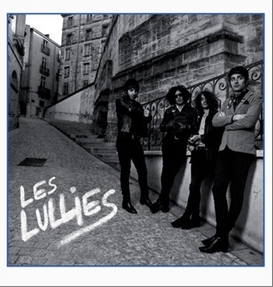 Les Lullies know what they want out of rocknroll, and they nail it but good with ten tracks of Aussie punk styles a la FUN THINGS and the classic American riffery of REAL KIDS bowing down to make out with Little Richards ringed fingers, 100% geared for the dancefloor!